Hi! Today I'm going to be showing you a couple fun things I did with the Monster Bash cartridge from Cricut on my Cricut Mini machine. 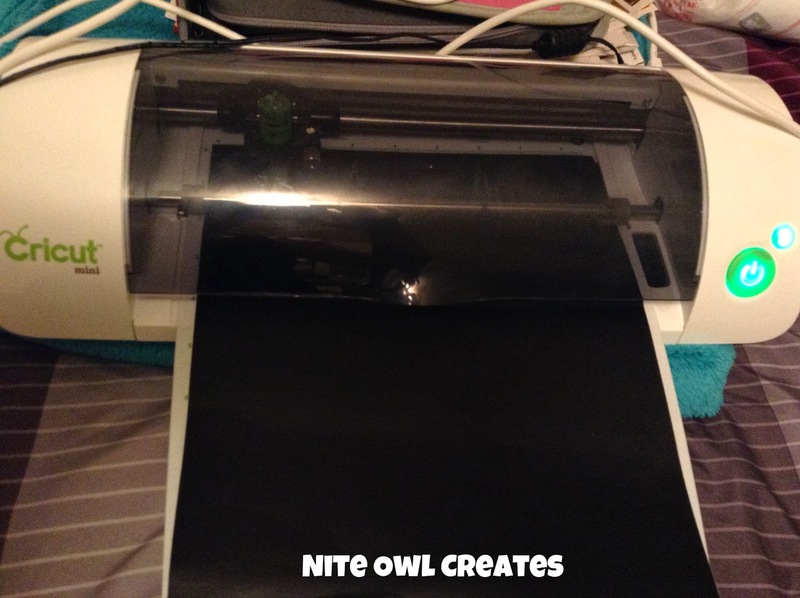 First I got in to Cricut Craft Room. 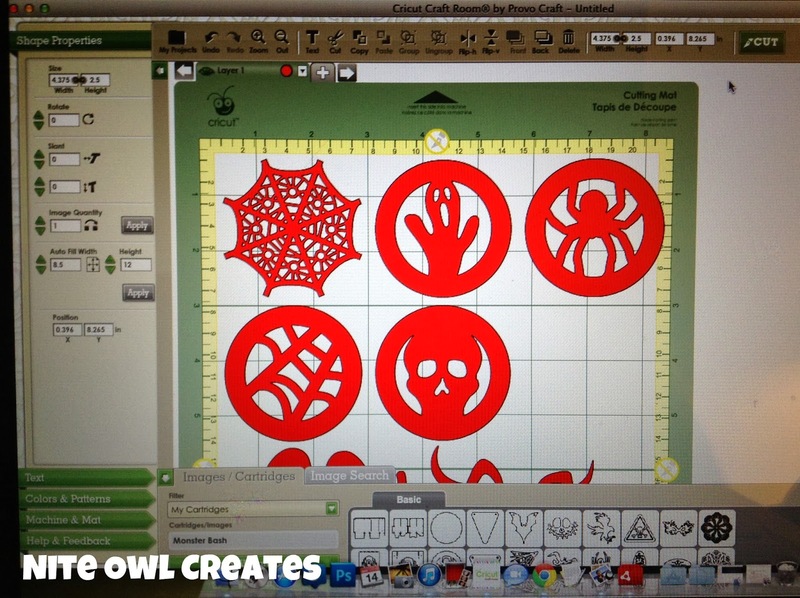 If you dont have this program yet , it is free to download from the Cricut website. I picked some images that I wanted to cut and they loaded on my mat. I did not adjust the size. The circle images were 2.5"x2.5". The other images were 2.986"x2.5" up to 4.385"x2.5". I picked up a couple pumpkins. 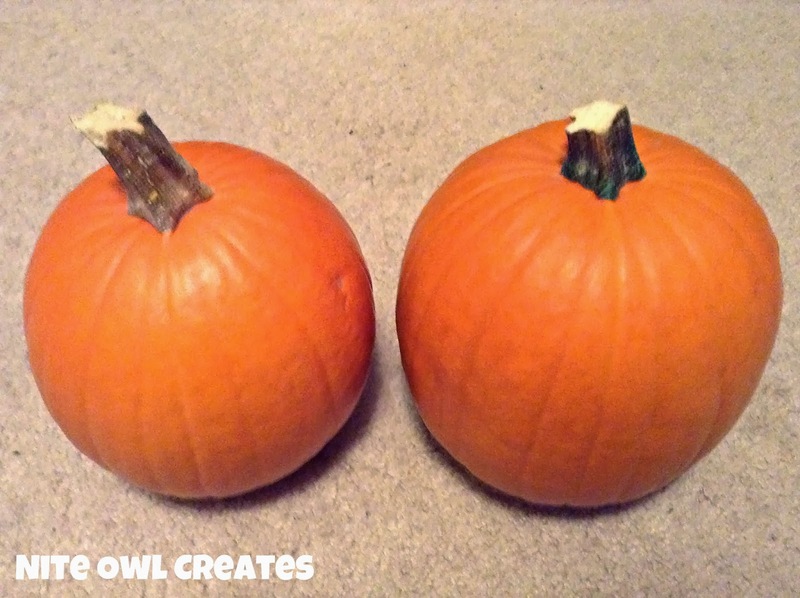 They were $1.99 each and are "pumpkin pie pumpkins" so that is pretty cool! They can serve another use other than decorations. These are the faces I used from the Monster Bash cartridge. Once the vinyl has been cut , just peel and stick. 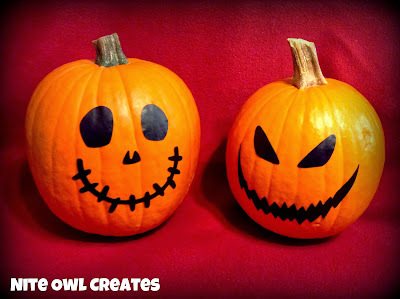 This would look cool in other colors of vinyl on other colors of pumpkins. Today I just stuck with black and orange. Next I used the circle images that my Cricut cut from black vinyl to decorate these cups for a Pinterest Party on Saturday. I liked the spider web and ghost the best. All of them are great though to get me in the mood for Halloween! Let me know what you make with the Monster Bash cartridge! Leave a comment below with the link to your blog and I will come check out what you've made & leave you a comment back. 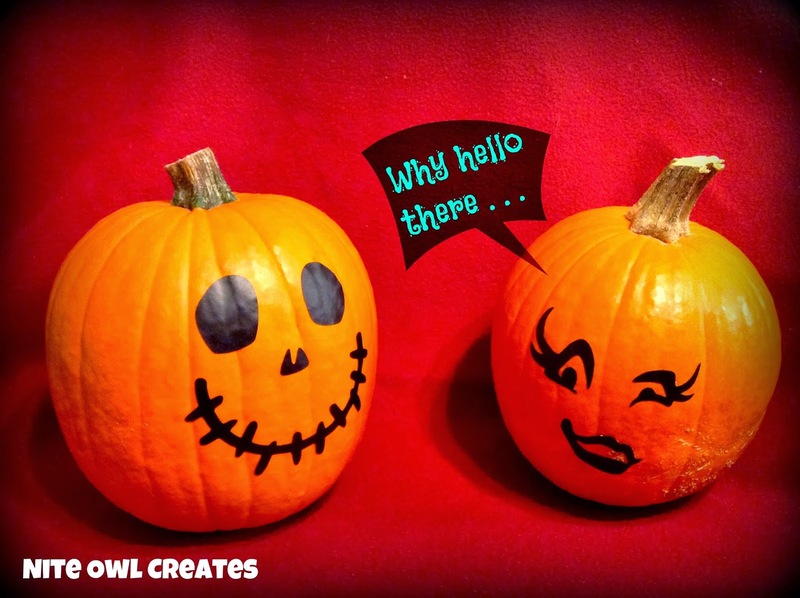 Happy crafting - hoot hoot! I love love love love this! These two projects are so cute, simple, and perfect for Halloween. 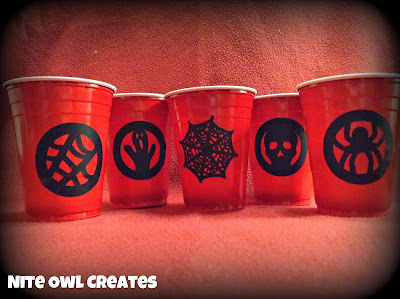 I love the faces on the pumpkins and you could put vinyl on cups for any occasion. You could even put people's names. So fun! Thanks for this great post. Pinned! So fun!! Love the Monster Bash cartridge! !